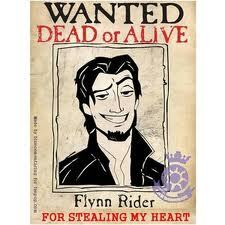 Flynn is wanted for stealing Rapunzel's 심장 XD. fg. Wallpaper and background images in the 라푼젤 club tagged: flynn fan art tangled disney 2010. This 라푼젤 fan art might contain 애니메이션, 만화, and 만화책.